Brett acting in TinyRhino: Winter Edition! Brett will be playing the role of Atticus, a Southern waiter, in Abby Rosebrock’s new piece called HOW ABOUT WE?, to be presented as part of TINY RHINO: WINTER EDITION! 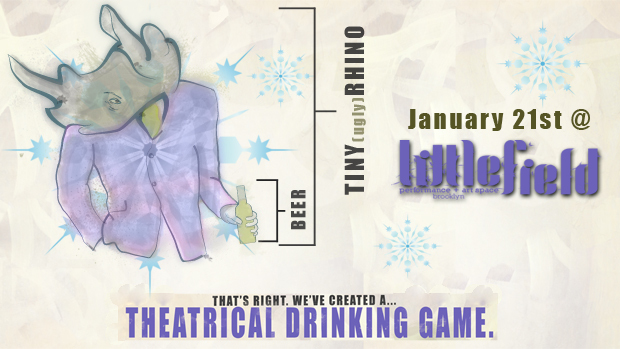 TinyRhino (presented by UglyRhino Productions) is a theatrical drinking game! Every time one of the five elements is presented in a piece– take a sip! The show is: TUESDAY JANUARY 21st at 8pm. TICKETS ARE $10 and include a free drink!